Maamba Collieries was incorporated in 1971 under the ownership of the Zambian Government, and has since become the largest coal mining company in the country, boasting an opencast coal mine situated near the village of Maamba in the Sinazongwe district of Zambia. The original mine was operational for many years, but low-grade coal was left to stockpile as waste. This resulted in severe environmental pollution and health hazards, both water and airborne, due to spontaneous combustion and acid mine drainage. As Zambia is a country with growing energy needs – and, indeed, a lack of energy in many areas – the government devised a strategy: in order to mitigate the environmental risks and to enable Maamba Collieries to effectively exploit its resources, the government decided to establish a thermal power plant that could make use of low-grade coal. Consequently, this project was able to kill two birds with one stone, by cleaning up the environmental mess left by the stockpiles of coal while providing much-needed energy to the country. The project is the first of its kind in Zambia, as it provides a dependable and sustainable base-load power source, which is crucial to the country’s energy security. It also provides Maamba Collieries with infrastructure that is ready to scale-up in line with the growing demand for power, not only in Zambia, but also in the entire sub-Saharan region. There are two key elements to the project: the first is a coalmine revival programme, which includes the establishment of a coal handling and processing plant. The second and most important feature is the setting up of a 300MW mine mouth (composed of two 150MW sites) coal-fired power plant, along with a 48km, 330kV double circuit transmission line and raw water pump house with a 21km-long pipeline. 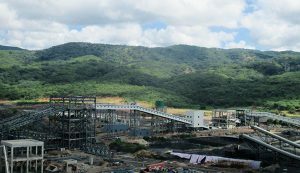 The Maamba Collieries project is being implemented by Maamba Collieries Limited (MCL). A project of this size, scale and significance of course requires a huge capital investment, and so the Zambian Government decided to bring in a strategic partner with the necessary technical experience, financial strength and track record to ensure its successful completion. Following a global bidding process in 2010, Nava Bharat (Singapore) (NBS) was selected. NBS acquired a 65 percent shareholding in MCL, while ZCCM Investment Holdings held the remaining 35 percent. NBS is a wholly owned subsidiary of Nava Bharat Ventures, an Indian-listed business conglomerate, while ZCCM is a company mainly owned by the Government of Zambia. It is a unique and collaborative project in Africa, wherein the sponsors are from Singapore, India and Zambia, the principal contractors are from China, and lenders come from across the globe. To guarantee the completion of the project, MCL signed an engineering, procurement and construction contract with SEPCO – one of the largest thermal power construction groups in China – to bring much-needed expertise to the project. MCL has also employed circulating fluidised bed combustion technology for the power project, which is known and recognised as an environmentally friendly technique with the additional ability to use thermal-grade fuels of diverse origins and qualities. To ensure a long-term customer base, MCL has secured long-term purchase agreements: the firm has signed a 20-year power purchase agreement (PPA) on a ‘take or pay’ basis with ZESCO, the local state-owned utility. The tariff payable to MCL is denominated in US dollars and is subject to indexation based on US producer prices. As a security mechanism over PPA receivables, MCL has also entered into an escrow agreement with ZESCO, which regulates the flow of revenues received under the PPA. The Zambian Government has also provided a guarantee that will remain in place until the escrow account mechanism is operational to the satisfaction of MCL and its lenders. The Government of Zambia has acted as a strong supporter of the Maamba Collieries project, as it is strategically important for the Zambian economy, providing a reliable energy supply for the country. MCL has therefore entered into an implementation agreement with the government to support the obligations of ZESCO, covering standard clauses on compensation in case of a change in the law, political force majeure or government default. It also provides customary buyout rights and termination compensation, designed to cover senior debt and equity. MCL has also signed an investment promotion and protection agreement with the government, wherein it is entitled to specific rights, such as: employing local and expatriate employees; security interest over project assets to the lenders of the project; designated tax and duty exemptions; and assistance in obtaining permits, including the licenses and consents required for implementation of the project. The power plant’s capital expenditure is estimated at $738m, and the coalmine’s capital expenditure – including mine establishment expenditure – is estimated at $105m, creating a total capital expenditure of $843m. The project achieved financial closure in July last year, making it the first independent power project of this size in entire sub-Saharan region to achieve this status. However, before financial closure itself, sponsors committed their entire equity, and construction was 80 percent completed. The project is being funded on a debt-equity ratio of 70:30. Sponsors have contributed equity of $253m, while debt totalling $590m has been raised from a consortium of lenders comprising large international commercial banks and development financial institutions on a limited recourse project finance basis. These banks include the Industrial and Commercial Bank of China, Bank of China, Standard Chartered Bank and Absa Bank, which have been secured on the basis of the insurance cover of Sinosure, the export credit agency of China. This is the first private power project in the sub-Saharan region to receive export credit agency insurance cover from Sinosure. Furthermore, the domestic bank Barclays Bank Zambia is also contributing, along with a number of developmental financial institutions, including Development Bank of Southern Africa, Industrial Development Corporation of South Africa and Africa Finance Corporation. Zambia’s reliance on hydropower to meet current and future electricity demand faces significant challenges, such as: increased economic development leading to growing demand for other water uses; increased water needs to address conservation goals in light of the potential impact of climate variability on water supply; and increased power demands requiring additional water for hydropower. 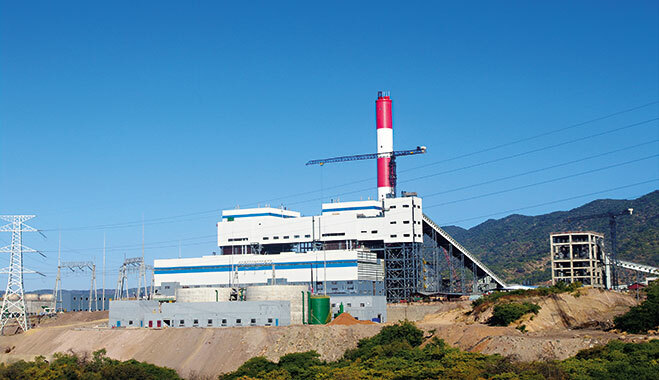 With Maamba Collieries being the only thermal power plant of its size in the country, the project diversifies Zambia’s energy sources from 96 percent hydropower and offers reliable base-load power. Due to drought conditions, hydro projects in Zambia are underutilised, resulting in the country facing a power deficit of 760MW as of April this year, which constitutes about 40 percent of total demand. There are power cuts in the country for between eight and 12 hours per day. The imminent completion of the Maamba Collieries project would bridge the current shortfall, especially at a time when the lack of reliable power is hampering the region’s development, making the project of significant strategic importance to Zambia. The project will also help Zambia grow on a socioeconomic level, in terms of health, education and vocational training, in addition to supporting the industries upon which the country’s economy relies – most notably, mining and agriculture. Presently, these industries are operating at very low capacities due to the country’s frequent power cuts. Now in an advanced stage of completion and scheduled for commissioning in July this year, the project offers hope to other African nations that large-scale projects can take off without real movement of precious raw materials such as coal and minerals. Overall, the project has resulted in significant economic empowerment and growth in the under-developed Southern Province of Zambia.